I hope y’all had a wonderful Memorial Day weekend! We had a blast spending time by the pool at my sister’s new home. The weather was beautiful, and the food was delish! 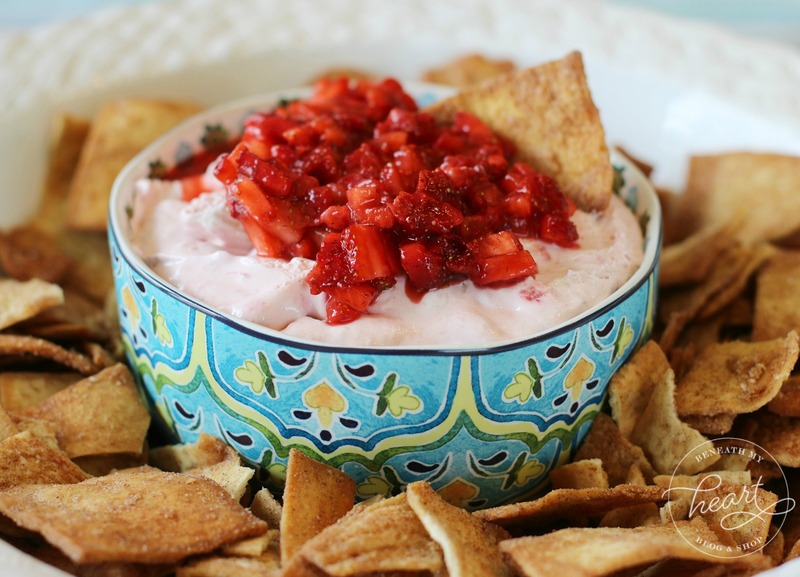 Speaking of food, I have to share with you the scrumptious dip that I took to the party! A quick and delicious crowd pleaser! 1 package of softened cream cheese, 8 oz. Blend together cream cheese, whipped cream, and powered sugar. Add about 1 cup of diced strawberries to mixture and blend. 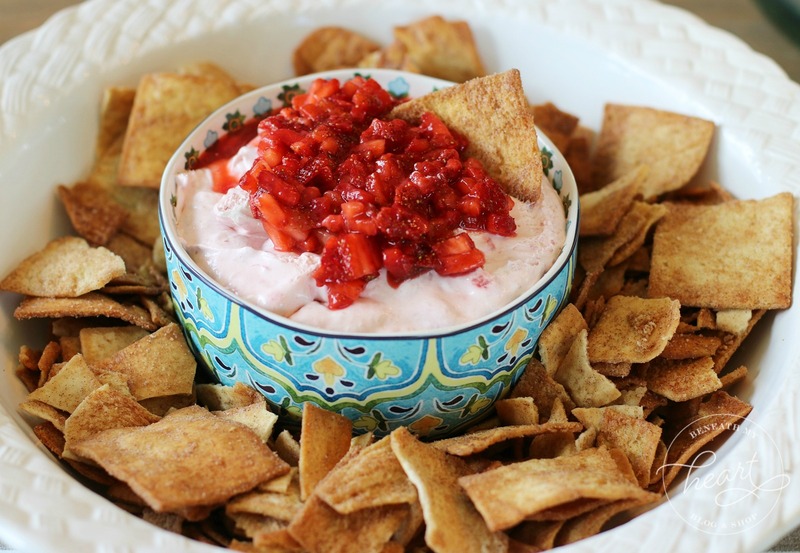 Surround the dip with cinnamon pita chips (I used Stacy's Pita Chips) for dipping and ENJOY! I’m confused by the “tub of whipped cream”, is that a carton of whip cream that you whip or a tub of cool whip? Sounds yummy, love anything with fresh strawberries. Awesome post, perfect timing as well as we hit strawberry season in the UK. Thanks for posting. It looks yummy :) Can we add some kind of chocolate syrup? Looks great and not very hard to make. Perfect for me! 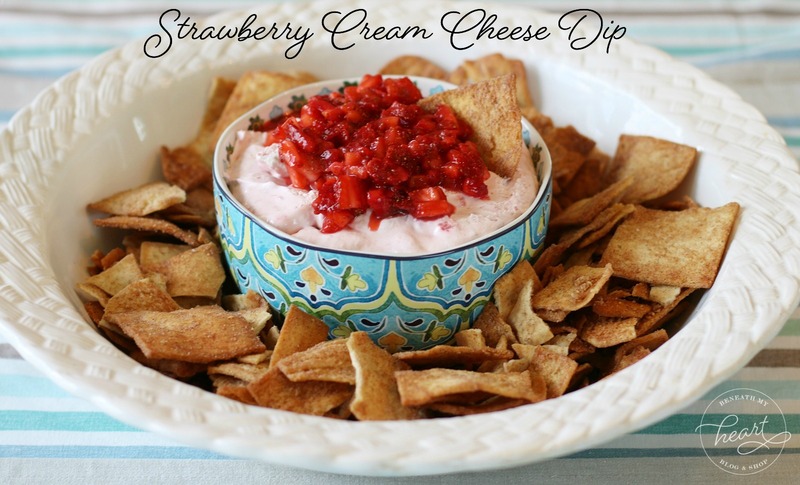 The Strawberry Cream Cheese Dip looks really good. It does not take a lot of effort and time so that’s my thing. Thank you!